Beeswax is another well-known product that bees make. Even though it has been used by many crafters through the ages, most people have no idea exactly how bees make beeswax. It is produced by the wax glands on the bottom of the female bee’s abdomen. These glands are only active during a certain period of a bee’s life cycle and as the bee ages its ability to produce wax goes away. Bees build their entire home out of the wax that the young bees secrete. The comb that they build serves as their nursery, pantry for the storage of pollen and honey, and as a platform for communication. Our cleanest beeswax comes from the cappings of the frames that the honey is made on. This wax is only weeks old when it is cut off to expose the fresh honey beneath. We collect the wax, spin out the honey, clean out the few impurities that are left via a simple rendering process and then form the wax into bars. 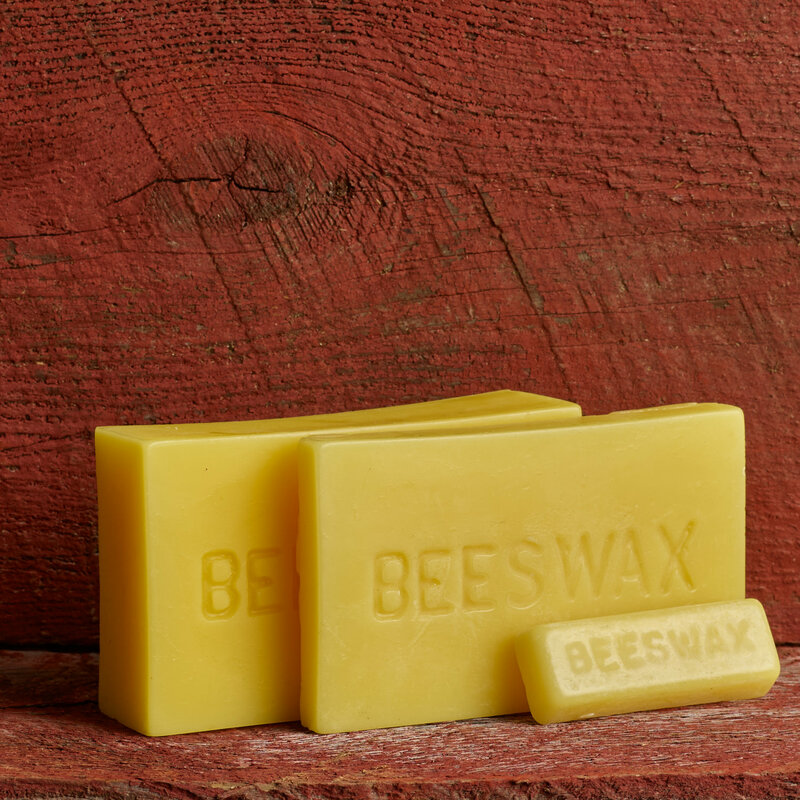 Beeswax has traditionally been used as a natural lubricant, as a sealant, preservative, polish and even in cosmetics.